Gabe Lamb is an associate creative director at Apple, leading a team of designers who create many of the physical experiences Apple customers encounter around new products in retail environments, installations and launches. 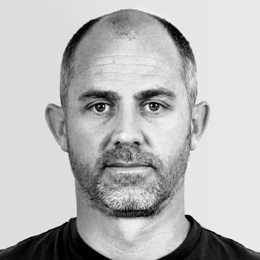 Before joining Apple, Lamb was a principal designer at Native Design, helping establish the London agency’s first US-based industrial design practice. Prior to that, he was an industrial designer and creative lead at fuseproject, where he led projects such as Jawbone’s category-defining Jambox line of wireless speakers, SodaStream Source and Play carbonation appliances, Briggo Coffee automated kiosk and a number of large-scale design week installations, retail environments and packaging designs. Lamb’s work has been awarded with IDEA Gold, Silver and Bronze, Red Dot, iF, Good Design, IDA Silver and Bronze, and featured or awarded by publications including Wallpaper, Dezeen, Fast Company, Wired, The New York Times, Wall Street Journal, Vanity Fair, Men’s Journal, Popular Science, Surface and even appeared in a banned Super Bowl ad (SodaStream Source). In prior lives, Lamb also worked extensively in politics and has a BS in anthropology in addition to his industrial design BFA (2008).